Police officers, reporters and other investigators know that you rarely get the same story from any two witnesses. We filter the things we see quite thoroughly, through prior experience and expectations. And then there are times when our eyes just flat out don’t get the job done — or, more precisely, when your brain can’t handle the information accurately. Go ahead. Check it out. 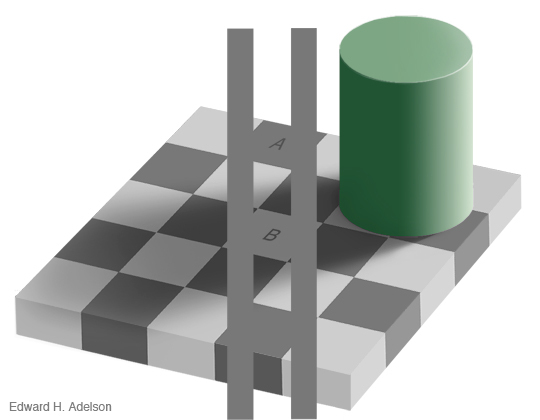 I didn’t believe it either until I used a color-matching tool. 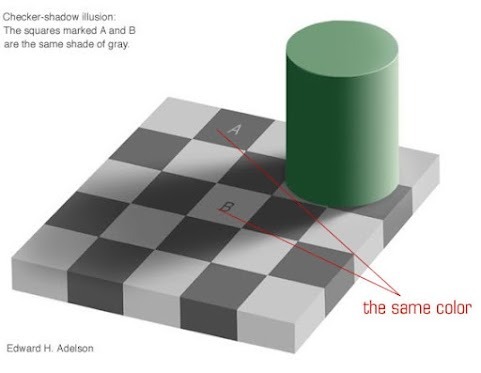 This entry was posted in Law Enforcement, Photography, Psychology, Science and tagged Art, Checkerboard and Shadow Optical Illusion, Law Enforcement, Photography, Psychology, Science on May 4, 2012 by Bill.